Today I wanted to let you know about a really powerful software tool that is being launched tomorrow called “Auto FB Marketer v2.0”. I have been blogging and emailing lots about Facebook this last few days and have emphasized just how BIG Facebook is in terms of targeted traffic. There are multiple ways in which to target specific groups of people on Facebook and that is what makes it such a huge traffic source. Searching for FB users interested in your niche/products and becoming “friends” with them. Contact these friends who are interested in your products and marketing your products/ sites to them. Sending messages or posting on your friends’ walls, about your business, to get viral traffic. Searching for GROUPS related to your niche and joining all of them. Searching for FB Pages related to your niche/ products and liking them. Regularly posting in these groups & pages and marketing your products on them for more exposure. Finding people who have joined groups in your niche and messaging them with your offers. Getting the Facebook IDs of people interested in your offers, and building a custom audience for FB Ads! And making sure you do ALL THESE marketing tasks consistently day in and day out. This can be a very effective strategy to gain exposure and to market your business on Facebook for bigger profits, but the problem is consistently marketing your business on Facebook, day after day… is TIME CONSUMING and tedious as hell, or can cost thousands of dollars to outsource to an assistant! Auto FB Marketer v2.0 is a powerful new software tool that will market and promote your business, websites, products and offers HANDS FREE! You simply press a few buttons and sit back and watch as the software keeps on doing all your marketing tasks on Facebook for you, on autopilot. You can set it and forget it, or go and sleep while the software works hard at generating you leads and cash day in and day out. Searches Facebook Groups, by keyword phrase, and capturing all profile URLs and FB IDs of members. You can use the list of FB ID’s that it captured as “Custom audiences” in Facebook Ads, to promote your offers directly to the people MOST INTERESTED in what you have to offer. Searches for and automatically Joins Groups related to a specific keyword phrase/s, countries, citys etc. Searches for and automatically Likes Pages related to a specific keyword phrase/s, countries, city’s etc. Searches for and automatically Friends People related to a specific keyword phrase/s, countries, city’s etc. Automatically posts any message (can use spin-tax) on many of your Friends’ walls for big exposure and viral traffic as all their friends will see your message as well. Afraid that Facebook will flag or block your account? Software performs exactly as a human does, using a browser and “clicking” on the buttons just like a human would, so there is no way for FB to know its an automated software. Can use proxy list with software. Can set time delays, with randomization built in, for all messages and requests, so that Facebook doesn’t see your activity as spamming. Can use manual modes as well. Those that grab the new Auto FB Marketer v2.0 tomorrow (Wednesday 4th December @ 11am EST) via my link, will ALSO get a very cool plugin with full resell rights. On top of that you will also get the professional sales page / copy that was recently produced by a top copywriter… enabling you to sell this plugin over and over bringing in profit every time. Keep an eye out for my email around 11am EST tomorrow (Wednesday 4th December). 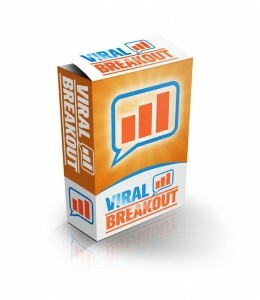 If you’re venturing into Facebook marketing then you are going to LOVE this software. If you missed my previous blog post regarding FACEBOOK then you can “read that HERE“. Social Mini Store allows you to turn your Facebook Pages into little sales pages in minutes. You can use them to sell affiliate products or even your own products. It’s a very neat tool and those that have invested in it already are loving it. Keep an eye out for tomorrows email and get in early!